Comments: The cherry wave petunia is an excellent selection of this series. It blooms over a long period from late fall through early summer. 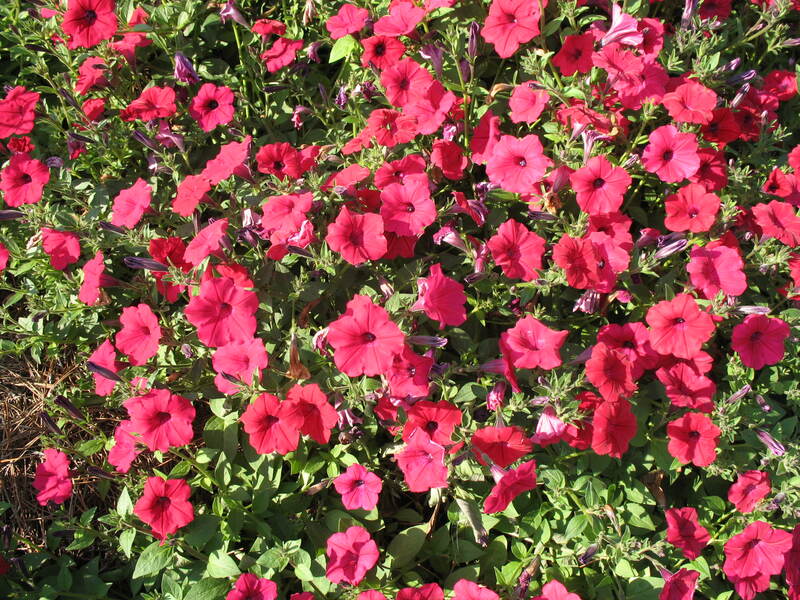 The spread of this petunia can be over six feet during this period. Provide full sunlight and a well drained soil, preferably a raised bed. It makes a superb container plant because shoots drape over the edge of the container.